A garage attendant was killed while removing tires from a vehicle. He had positioned a bottle jack under the axle frame at each end near the spring. He needed to raise the bottle jacks to align the bolts and reinstall the tires and he crawled under the car to raise the jack. The jack slipped out, allowing the weight of the truck to shift and come down on him. Blocking and stand jacks are important tools used in garages or while repairing powered mobile equipment in the field. Blocking and stand jacks are used when working under a raised load to keep it from falling. Workers can be seriously injured or even killed if proper equipment isn’t used or if it isn’t used correctly. All projects that require a raising of the vehicle or powered mobile equipment by jacks must use two forms of support at all times. Any equipment used to raise or support loads must be inspected before use. Study, understand, and follow all instructions before using a jack stand. Jack stands or wooden blocking must be placed on a hard level surface capable of sustaining the load. When positioning jack stands or wooden blocking, ensure firm, positive contact between the support and the load. Centre load on the saddle of the jack stand or wooden blocking. Jack stands or wooden blocking must always be used in pairs. 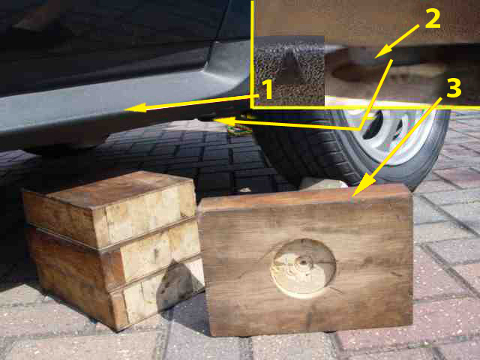 Jack stands or wooden blocking are not to be used to simultaneously support both ends of a vehicle. Users must fully engage the jack stand locking mechanism. 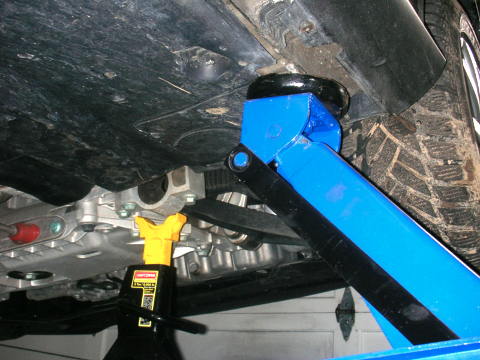 Do not extend the height of the jack stand beyond its maximum working height. Do not adjust the height of the jack stand when the stands are bearing weight. Do not exceed the rated capacity of the jack stand. No alterations should be made to jack stands. Log ends or rounds of wood should not be used as wooden blocking or supports. Wooden blocking used to support vehicles or equipment must be in good condition. Wooden blocking must be free from rounded edges, visible rot, cracks, checks or splits. Wheel rims, concrete blocks, metal pipe, or any other metal item not specifically manufactured for the support of vehicles or mobile equipment should not be used at any time as a support for vehicles or mobile equipment.